I conquered it! 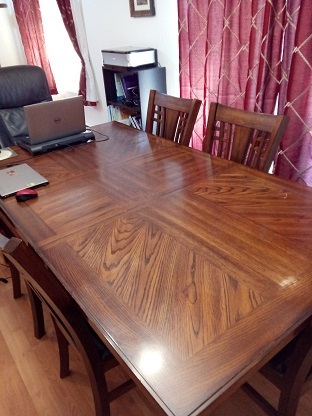 It only took three days but I was able to completely clean off our dining room table. I didn’t just move the piles elsewhere. I sorted, put things away in their permanent homes, scanned paperwork, paid bills, and basically processed every single item that had accumulated over the summer. I am so proud of myself. 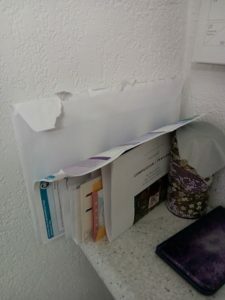 Next up… this small corner where paperwork tends to multiply. One small step at a time and I will conquer the chaos. Well done. Clearing up is so satisfying. I love the grain of the wood in your table.